BARBERTON---Ivan Morber, 81, passed into eternal life on September, 7. Ivan was born October 11, 1936 to Anthony and Mildred Morber. A lifelong resident of Barberton, Ivan graduated from Barberton High School in 1954. 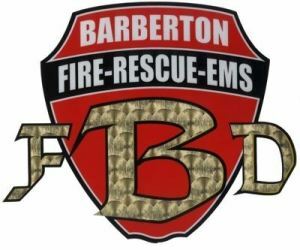 He was a Sheetmetal Journeyman and US Army Reservist prior to becoming a firefighter with the City of Barberton Fire Department in 1966. Ivan retired as a Lieutenant after a 27-year career. He had been busily retired since. In 1969, Ivan married Rita Herold and, for 46 years, they danced though a marriage filled with love and devotion. Ivan’s love and devotion were especially displayed over the last decade of Rita’s life as they bravely faced Alzheimer’s disease together. He was by her side daily through the disease’s progression and truly showed us all how to love with his abiding example. A beloved Dad, Ivan is survived by his four children: Vincent (Jamie) Morber, Maria (Ron) Weinberg, Dominic (Monika) Morber, and Julianne (Jason) Goshe. Ivan was extremely proud of his children and would do anything for them. Thanks Dad for all the love and life lessons you gave us! 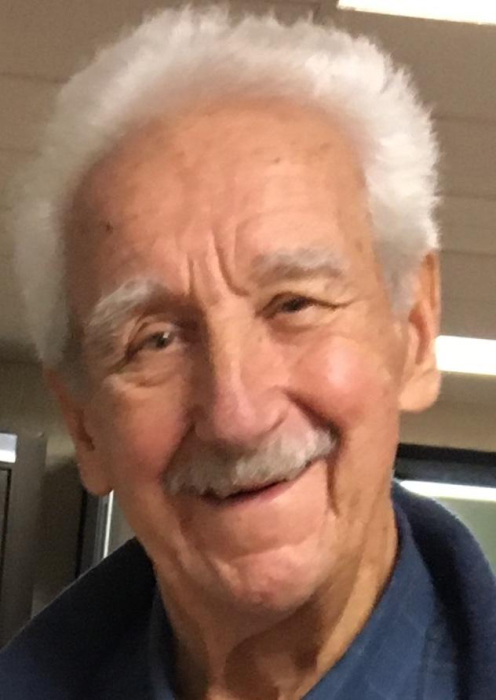 A beloved and proud Grandpa, Ivan will be missed by his grandchildren Margaret, Katie, Bailey, Tallon, Jack, Grace, Emma, Luke, Andrew, Gabriel, Katherine, and Madeleine. Ivan is also survived by his brother and weekly lunch buddy Frank (Betty) Morber. He is also survived by sisters-in-law Catherine, Betty, and Ann Herold and many nieces and nephews. A man of simple pleasures, Ivan liked (in no particular order) fishing, woodcarving, woodworking, fixing things, polka, helping his neighbors, having the tool or item you needed, gardening, his Croatian heritage, crosswords and comics, practicing his Catholic Christian faith with Daily Mass, anything from Leach’s Meats & Sweets, concerts at Lake Anna, and sharing a beer with his friends at The Corner Café. He took special delight in giving personalized gifts/mementos that he made in his woodshop. Ivan was a member of St Augustine Church where he shared his time and talents in many ways over the years. In the last 25 years, his main ministry had been as an altar server for funeral masses. In that capacity, he was present and prayed with many as they commended loved ones to the arms of our Lord. No doubt, he viewed death through the eyes of faith and would have us do the same. In fact, Ivan would probably like us all to ponder the Saint Padre Pio (whom Ivan greatly admired) quote right about now which is, “Pray. Hope. And Don’t Worry”. Mass of Christian Burial will be held at 10:00 A.M. on Thursday, September 13, 2018 at St. Augustine Catholic Church, 204 Sixth St. NW, Barberton. Interment at Holy Cross Cemetery. Calling Hours Wednesday from 4-8 P.M. at the SILVA-HOSTETLER FUNERAL HOME, 1199 Wooster Rd. West, Barberton, where prayers will be said Thursday morning at 9:30 A.M. In lieu of flowers, memorials may be made to the St. Augustine Endowment Trust Fund.